Top Lines is a regular briefing for all staff from the Vice-Chancellor summarising the key issues, debates and decisions of University Steering Group (USG), Senate, Resources Committee, and Council. Take a look at the latest issue. You can read more about key decisions at our University and capital development projects in the pipeline by signing up to Top Lines emails by emailing the Communications Office. You can also visit the Top Lines webpages. Top Lines is a regular briefing on the key issues, debates and decisions of University Steering Group (USG), Senate, Strategy and Resources Committee (SRC) and Council. You’ll need to enter in your login and password to access Top Lines online. Also keep an eye out for Essex Weekly, the e-newsletter for staff, which will drop into your inbox each week. You can also check out Essex Daily, the blog for staff, for updates on everything from the latest research and events to staff news and estate updates. In celebration of our winning the prestigious title of University of the Year, we are hosting tea parties for the staff and students based at any of our three campuses. We’d be delighted if you could join us, drink tea, eat cake and take a bit of time out of your busy day. Anyone based at Loughton is welcome to attend one of the parties at Colchester or Southend. We would love as many people as possible to come along. Due to room capacity, spaces will be limited, so please do let us know if you would like to participate. So that we can gauge how many people will be coming, could you respond to the relevant Eventbrite invitation by Wednesday 20 March. You will require the password “Essexteaparty” to access the Eventbrite page. The Accessibility and Wellbeing Advisers within the Student Wellbeing and Inclusivity Service (SWIS) will be offering some training sessions for staff to raise awareness of disability and reasonable adjustments. There are several short sessions available so far, 2 of which are scheduled for Southend Campus, and we would encourage staff to attend. The sessions can be booked via HR organiser. For those who cannot attend a workshop we would direct you to our Raising Awareness sessions on Moodle. Please also encourage new members of staff to check out the Moodle topics during induction. The 1985 film Runaway Train was adapted from a screenplay by Akira Kurosawa. It is a depiction of how human beings can, in particular circumstances, degenerate into animals compelled toward violence and cruelty. The film asks, given the inherent cruelty, hate and aggressiveness of human beings, are we in any sense redeemable? The possibility that redemption can be found though acts of altruism and sacrifice, is represented widely in art, film and literature, but what are the internal, intra-psychic foundations from which such lasting psychological patterns emerge? The Speaker Dr Chris Nicholson is the Head of the Department of Psychosocial and Psychoanalytic Studies, University of Essex. He teaches on several programmes, and has devised two new degrees, BA Therapeutic Care and BA Childhood Studies. Before joining the Department, Chris worked in a range of children’s services and therapeutic communities. He now provides training, supervision and consultation to organisations in the UK, Greece and India. He developed the Core Competency Framework for Therapeutic Community Practitioners and sits on the Executive Board of the charity, The Consortium of Therapeutic Communities. His papers are published in the International Journal of Therapeutic Communities, and Gravesiana, the Journal of the Robert Graves Society for which he sits on the Editorial Board. His book, Children and Adolescents in Trauma: Creative Therapeutic Approaches is published by Jessica Kingsley. I’ve been lucky enough to receive a charity place to run the London Marathon on 28 April 2019 on behalf of the amazing charity, Pancreatic Cancer Action. We have a £2000 amount to raise this year for this incredible charity. It would be amazing if you would like to donate and sponsor me, any amount large or small is incredible. If you wish to donate please follow the link below. On the 21 March, between 10am and 2pm, we will have a stand on the ground floor of the Gateway Building with a raffle and goodies. PRIME is an opportunity for the graduating BA Physical Theatre actors to use everything they have learnt to create an exciting piece of original work. 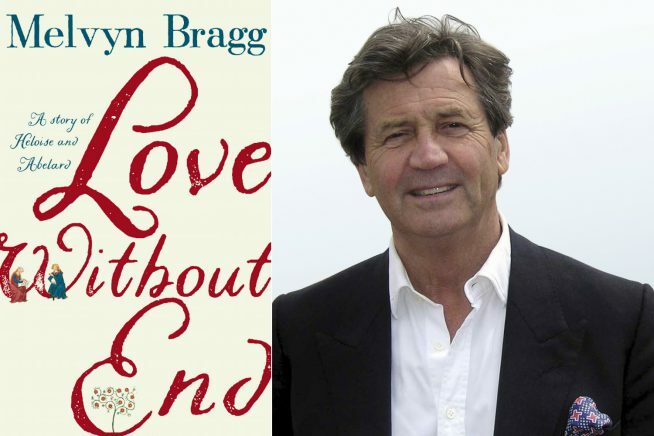 In this special event to celebrate the Forum’s fifth birthday, join writer, broadcaster and presenter of Radio 4’s In Our Time, Melvyn Bragg as he talks about his latest novel. Love Without End brings the 12th-century into the 21st as he breathes fresh life into one of history’s most remarkable and enduring love stories.